Time . There is nothing in a lifetime more scarce. It is something we have all occasionally wasted as if it is infinite and valueless. By doing things like going fishing. I am convinced that it is human nature to waste time. Changing it is likely impossible. So, once we accept that we will all blow through a good chunk of our allotted time here on Earth, we can move on to learning how to squander it well. Things that simply take an abundance of time don’t automatically qualify as the stylish wasters of it. Some do, but not all. Some are great if alone, like naps. Others are awesome to do with someone you love, again, like naps. Clearly, some of my favorites work either way. How about a day at the beach? That works great with a partner or a group, but I assume it can also work when alone. However, I have found that a beach with no kids playing on it is just not my thing. Cleaning out the garage? That sounds terrible to most people, including me. But I did this recently with one of my boys, coupled with a couple of projects requiring the purchase of a new power drill, and it turned into a memorable weekend. What about golf? I am from a family that plays golf, but for quality time-wasting, golf is often horrible. As a 50-year-old golfer who used to compete and now dabbles in tournament golf, the game can be a chore. Conversely, watching golf is a most excellent waste of time. Viewing someone else’s frustration in small segments with not a care in the world of the outcome makes for a good Saturday or Sunday afternoon. It’s great to do it with family because golf is so slow to watch on TV, it’s mainly just a minor distraction while catching up. Which leads me back to fishing. I fished a lot when I was younger. My older brother taught me how. Some of my best memories are of fishing jaunts to Big Tumbling Creek or any of the forks of the Holston River with both of my brothers. My older brother always tried to find a place to take a nap whenever we would go. He could sleep like a baby in tall grass next to a stream, right after spotting a snake. Yes, taking a nap while fishing might be the pinnacle of time wasting. My two sons love fishing, even alone these days. Fishing without them seems silly to me. This week we spent twelve hours driving, one whole day in a little boat on a little river and one day in a big boat on a big lake. There were no necessary discussion topics that went uncovered, even before we got done driving to our Michigan destination. I didn’t take a nap on this short trip, but I did blow plenty of time day dreaming, which is The Nap’s first cousin. Otherwise, the two days were perfect. I have decided that I will actively seek good or better ways to waste time from now on. I get that old people, like me, often make decisions like this. Plus, my “boys” probably didn’t look at our trip as a waste of time. They wanted to fish and we had two good days of that. The value of the trip has nothing to do with fishing though. For a dad with two sons who are in their early twenties and don’t ever want to slow down to the old man’s pace, trapping them in an SUV and a boat gave me precious time with them. It is the time itself that turned out to be infinitely valuable. It can’t be bought, and the things that cost money on this trip could be done for next to nothing. When I taught these two young men how to fish for blue gill in the neighborhood retention pond almost twenty years ago, it was not my way of tricking them into trips like this one. But it could have been. I am writing this column for all of the parents of young children so that maybe they can and will. And because my boys rarely read my column. 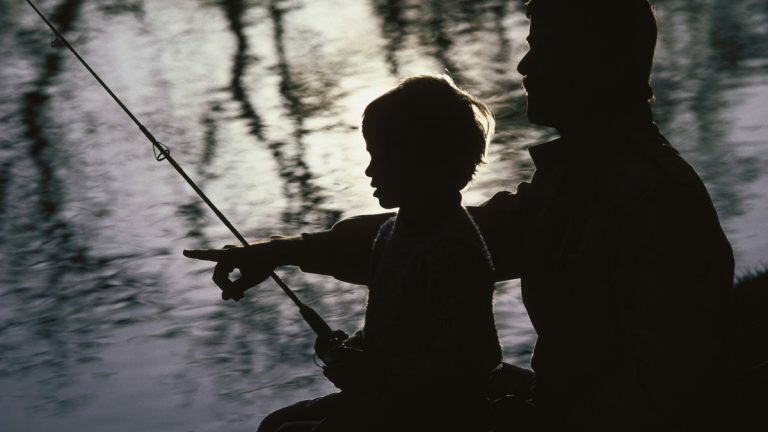 Make time to waste with your kids fishing. Teach them how to when they are young, and make sure they see how much you love teaching them. It could give you a chance to have days like I did this week. And yes, you will still be expected to pay.